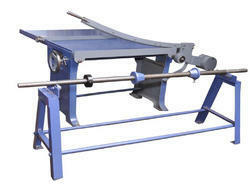 The Cutting Machines we manufacture are highly acclaimed for the flawless performance and ease of usability. The machines are sturdy, durable and works at speed even while cutting large stack of paper. Our wide range includes sheet cutter machine, board cutter machine, eccentric slotter machine, slitting machine and 4 bar rotary machine. The heavy duty Board Cutter Machine is precision engineered to meet the variegated requirements of our clients. We offer these board cutter machines for cutting paper board having an impermeable barrier, such as foil. The knife helps to shear away the board and cleans the loosened foil to remove most of the insulation material. We are engaged in offering a precision engineered range of 4 Bar Rotary Machine that is suitable for cutting and creasing the corrugated boxes in tandem. Creasing is required to manufacture folders or interior packing and cutting is required to cut sheets to form strips or blanks. We offer 4 Bar Rotary Machine in different sizes, capacities, which maximize the production capacity. We offer a comprehensive range of Sheet Cutter Machines that is known for its accurate cutting of the paper. These heavy duty machines are designed for high production in cutting paper as well as 2 ply corrugated sheet without damaging the flutes. 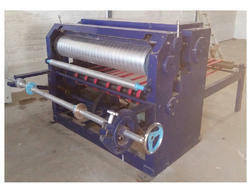 To reduce the wastage, the machine can be attached to a corrugation machine for direct and accurate sheet cutting. It is a useful machine for cutting coated papers, craft papers, writing papers and others.